The Chinese New Year of the Fire Monkey will start today – February 8, 2016 – the second New Moon after the Winter Solstice. Of the five Taoist elements Fire, Earth, Metal, Water, and Wood, this is the year of the red Fire Monkey. Red means go! Fire brings passion, creativity and joy. Fire types are strong, dynamic, and can overcome illness and obstacles. Following 12 months of the dignified and surefooted Sheep (or Goat or Ram), the New Year of the Red Monkey is going to shake, rattle and roll! The year of the Monkey is ideal for a quantum leap in your life! Now is the time to shake things up, create change, and imagine a new path! This Monkey year will bring an enthusiastic energy for change – when risks are rewarded and anything can happen. Even the most ambitious plans can succeed. There will be more than enough action and opportunity to keep you busy. In Monkey year, it’s just fine to make it up as you go along – but don’t be gullible and trust the wrong people, or wily Monkey will take all the peanuts and leave you only shells! All of the 12 animals of the Chinese Zodiac have a shadow side, and the Monkey is no exception. The Monkey is commonly regarded as the emblem of trickery, so be on the alert for deceptions. It’s innovative problem-solving tendencies can turn the Monkey into being a tricky tactician, opportunistic and not all that trustworthy. Youthfulness hides an unscrupulous adolescent, and independence can turn to unfaithfulness. Talk is fast and cheap and the Monkey type will want to work the shrewdest angle, get the best deal, and win big. Monkey Madness ~ Monkey Mind! Be aware not to jump ahead of yourself this year, and try to calm what is called “Monkey-mind” in Buddhism: jump to a branch, grab a banana, peel it, take a bite, drop it. Then jump to the next branch, grab a banana, peel it, take a bite, and drop it… in a never ending tail-chasing cycle of uselessness. As soon as you realize that a path is not fruitful, take a risk and try a new one instead of staying stuck in old ways that are familiar but don’t work. Easier said than done, n’est ce pas? But daring to be different can lead to success. The Year of the Monkey 2016 is a good year to break free and take calculated risks as there is nothing more powerful or rewarding than following your heart’s desire. Run with ideas, embrace the inventive, and don’t look back! Now is the time of courage, action, anarchy, and true devotion to even the wildest of schemes, it’s time to start new endeavors, for they are destined to succeed under Monkey’s influence. Go for it you cheeky monkey! Sensational savings this Festive Season in 3 easy steps! 25% discount off all treatments and B&B booked before December 25th! 2. Receive an Xmas gift voucher to pop under the tree. 3. Redeem your voucher between January – June 2016. Under The Lime Tree ~ The Place for a Christmas Pressie! Contact me by email to start the savings process! 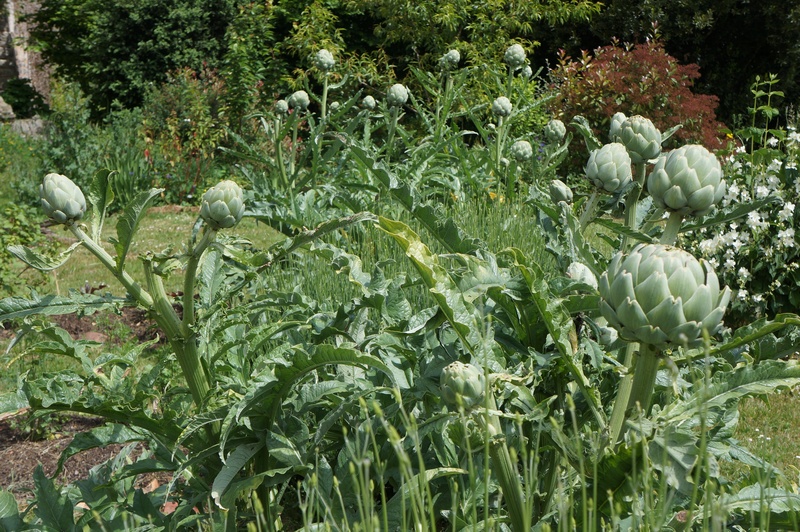 Our garden is resplendent with globe artichokes reaching out in all directions to fill up, if not choke, the skyline at the back of the house. They’re wonderful to watch ~ the heads, or globes, blooming and opening every time you turn your back, and then all of a sudden, you’ve lost the chance to harvest them! No matter, they become the most marvelous flowers and continue to bewitch insect wildlife for weeks to come. 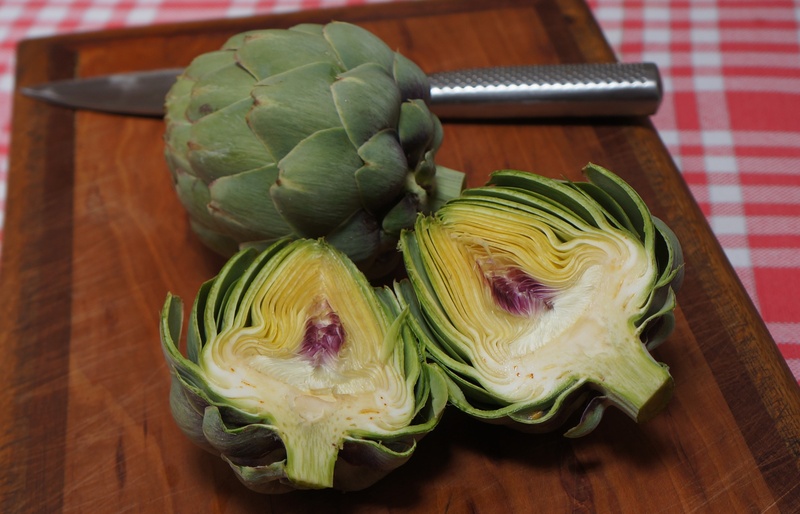 Lots of people don’t know what to do with fresh artichoke globes but when in season, they’re one of the simplest and easiest vegetables to add to your diet, and in terms of their benefits, they’re great for assisting digestion and liver function. Have ready 1 globe or head per person and a large pan of boiling water. Cut the globes in half, tip to stem. Plunge them immediately into the water and boil vigorously for 15 minutes. Meanwhile, make the dressing. Toss the garlic and chili into the melted butter and fry together for a minute or two. Set aside. When the globes are ready drain well. Place cut side up in a baking tray and pop under a hot grill for 2 minutes. Take out, spoon the butter, garlic and chili dressing over the heads and pop back under the grill for another minute. Serve immediately. Good as an appetizer or a starter. The heart of the globe is the fleshiest and tastiest part, but each leaf has some flesh on it, so drag it off between your teeth then discard the rest of the leaf ~ very primitive and good fun! You don’t have to cut the globe head in half before cooking, but doing so simply reduces cooking time and makes for a great display. You can have any dressing too. Something buttery and piquant work well to bring out the flavours of the flesh. Meat Free Mondays ~ Salt : Saviour or Sinner? I though this article was fascinating, so I’ve pinched and copied it here… Feels like there’s so much to know about salt ~ but who knows…? Salt is arguably the most important ingredient in cooking. Without it, most meals would taste bland and unexciting. One of the first foods that signals the start of spring is the appearance of fresh asparagus at the markets and grocery stores. 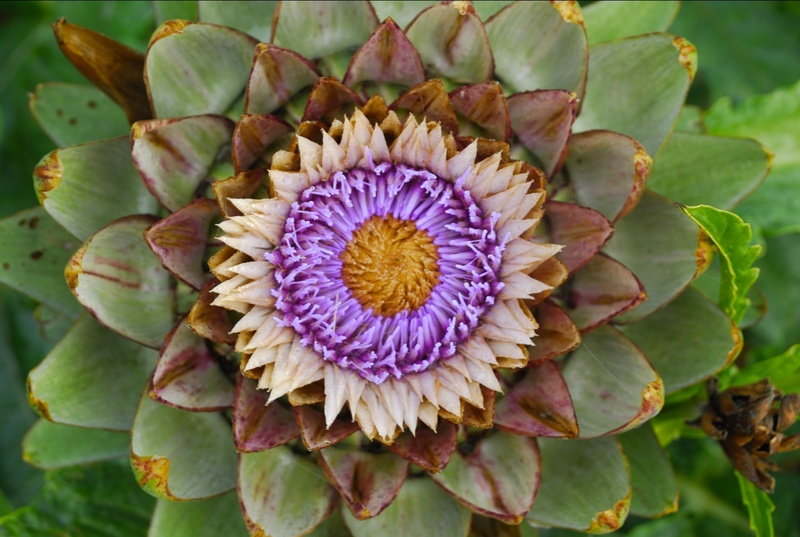 This succulent, savory super vegetable contains a stimulating blend of nutrients, making this member of the lily family a fantastic food for your health. It’s loaded with nutrients: Asparagus is a very good source of fiber, folate, vitamins A, C, E and K, as well as chromium, a trace mineral that enhances the ability of insulin to transport glucose from the bloodstream into cells, which means it provides a steady supply of energy without spiking blood sugar levels. It has anti-aging as well as anti-oxidant properties so snap it up while you can! Roast, grill or stir-fry your asparagus because these quick-cooking, waterless methods will preserve the fabulous nutritional content and antioxidant power of asparagus. 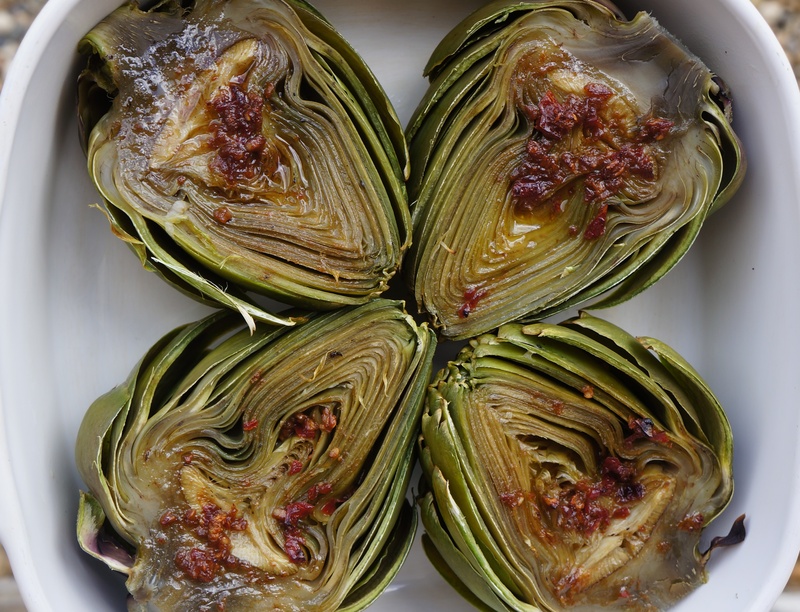 This recipe and photo comes courtesy of Foto e Forneli …. I fell in love with the delicious photo before falling in love with this delicious recipe! Clean the asparagus by removing the woody ends. Heat 2 tablespoons oil in a pan and gently fry the asparagus on high heat on all sides until browned. Add the stock, cover with a lid and cook over low heat for about 5-7 minutes. Finely chop the garlic and add to the asparagus. Remove from heat, add a tablespoon of oil and a tablespoon of vinegar, salt and pepper. Allow to marinate for about 30 minutes. Meanwhile, peel the avocado, remove the nut and cut into thin slices. Arrange the avocado slices on a serving dish, add the asparagus and distribute the seasoning on top. Cut the feta into small pieces and distribute it over the vegetables. Garnish with basil leaves. Simples and so good for you! Una receta fácil que se origina en España! Paella is an ancient Spanish rice dish that originated in its modern form in the mid-nineteenth century near Albufera lagoon, a coastal lagoon in Valencia, on the east coast of Spain. ‘Paella’ is a Valencian-Catalan word which derives from the old french word paelle for pan, which is also akin to the modern french poêle. Cooking and serving from a specialized shallow paella pan is all part of the theatre of the dish. 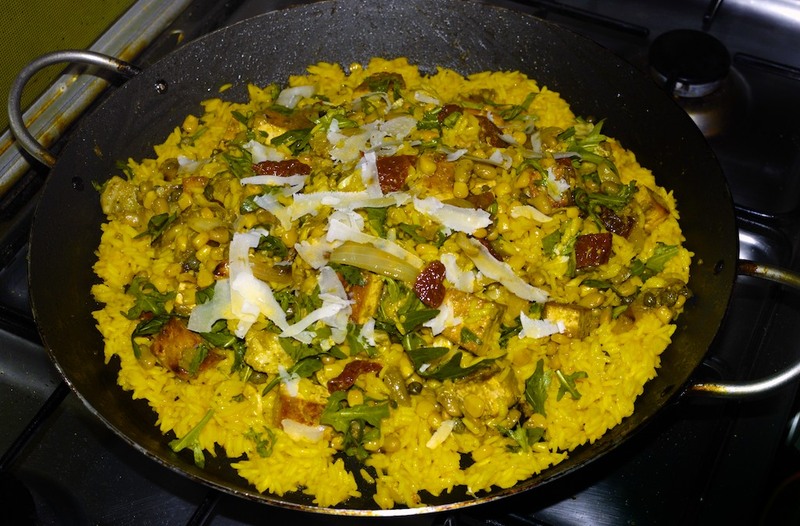 In fact, the recipe became so popular that in 1840 a local Spanish newspaper first used the word paella to refer to the recipe rather than the pan! 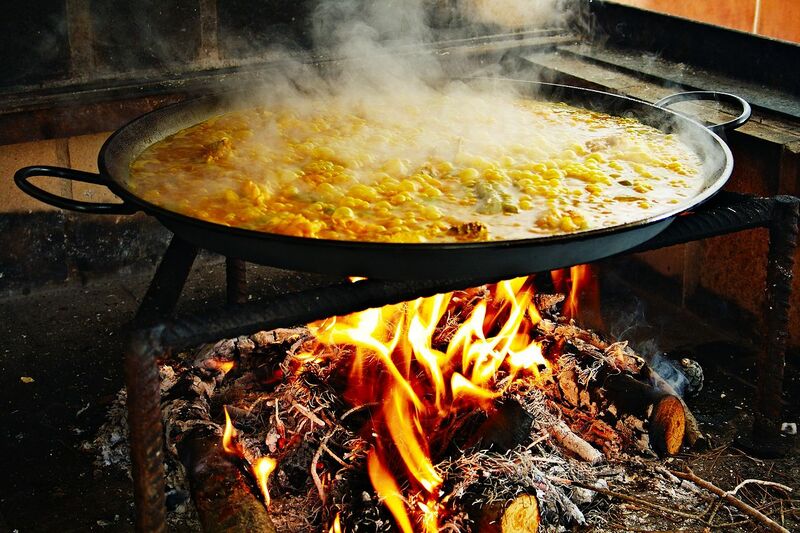 According to tradition in Valencia, paella is cooked over an open fire, fueled by orange and pine branches along with pine cones. Ummm, sounds as if it would smell divine! Somewhere along the line of it’s history, saffron was used to colour the paella yellow. Here I’m using turmeric, one of Nature’s most powerful healers. It’s an anti-inflammatory, antiseptic, antibacterial and antioxidant. It’s a liver detoxifier, a pain killer and helps to metabolize fat. And it’s less expensive than saffron. Who wouldn’t use it?! In a saucepan, bring the water to the boil and once boiling add the rice, stir, add the teaspoon of turmeric, stir again then cover and turn off the heat. Leave to cook and expand in the saucepan. In a large shallow paella pan (if you have one, or a frying pan if not), gently heat about 3 table spoons of olive oil. Season with the salt & pepper then toss in the red onion and tofu. Sauté for 5 minutes, tossing frequently to brown on all sides. Add all the other ingredients, except the lemon. Allow to simmer together for a further 5 minutes before adding the asparagus and lemon juice. Turn off the heat. Push all the ingredients to one side of the pan, tip in the cooked rice and gently fold in with the vegetables & tofu. Serve in the paella pan with the lemon wedges ~ et voila, buena appetite, as the Spanish would say! As an option, try adding shavings of a vegetarian hard cheese, or wedges of hard boiled free range eggs. *Capers are un-ripened buds from a small bush native to the middle east & mediterranean regions. Fresh blossoms are sun dried then pickled in brine to bring out their distinctive lemony flavour. They’re a key addition to this recipe for tangy flavour. 新年快乐 Happy Chinese Year of the Wood Sheep! Chinese Lunar New Year celebrations, which began on Feb. 19, and go on for 15 days until the full moon, will say goodbye to the Year of the Horse and usher in another animal in the 12-year cycle of the Chinese zodiac. Also termed as the ‘Spring Festival’, the new year of the Chinese calendar is an event of much fanfare and excitement. The celebrations kick off on the second new moon after the winter solstice, this year it’s February 19th, and end with the lantern festival on the 15th day of the first month in the Chinese calendar. In what has been referred to as the world’s biggest annual human migration, about three billion passenger trips will be made over the 40-day travel period as China celebrates the Spring Festival. That’s a lot of dudes, dude! 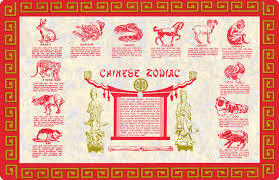 Each of the 12 animals in the Chinese Zodiac has unique characteristics and each year corresponds to one animal. 2015 corresponds to the Sheep. Or Goat or Ram. This isn’t a sudden identity crisis within the chinese calendar but instead a confusion of the chinese character or mandarin letter “yang”, which describes any horned grazing animal. In addition to the twelve year cycle corresponding to each of the animals in the Chinese Zodiac, there are Five Elements (wood, fire, earth, metal, water) which are associated with their own “life force” or “chi”. This energy blends with the corresponding animal to determine that year’s fortune. In 2015, the corresponding animal is Wood. Wood by its very nature, is the element associated with all living things, the “spring” or life renewal process. Wood relates to trees which relate to the color green. The Year of the Wood Sheep is therefore also known as the Year of the Green Sheep. So what does it all mean? What do the characteristic of the Sheep mixed together with the elements of Wood bring? According to Chinese tradition, the Sheep is kind, tender and sympathetic. Sheeps are creative and elegant and because of their soft nature, they are symbolic of peace and harmony. Combined with the evergreen and renewal characteristics of Wood, the Sheep’s creativity will be unleashed. Watch this space as the Year unfolds…! That certainly sounds like a good philosophy to me! But it doesn’t appeal to everyone! 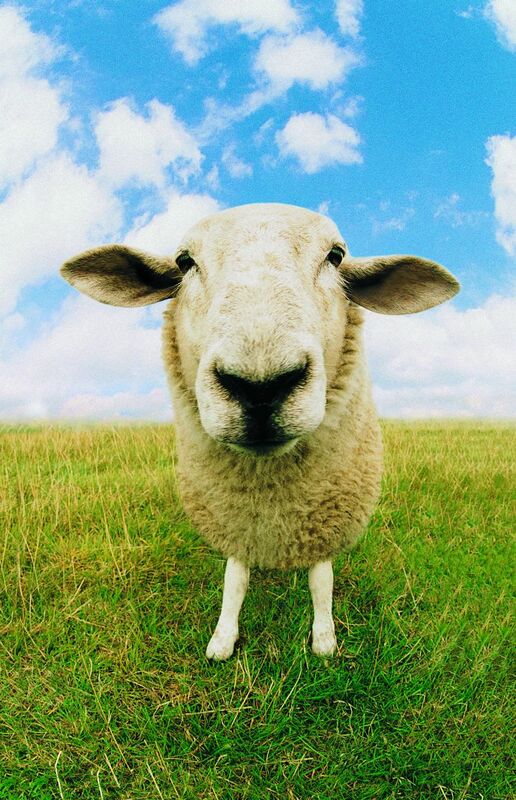 Sheeps avoid confrontation and are not born leaders. 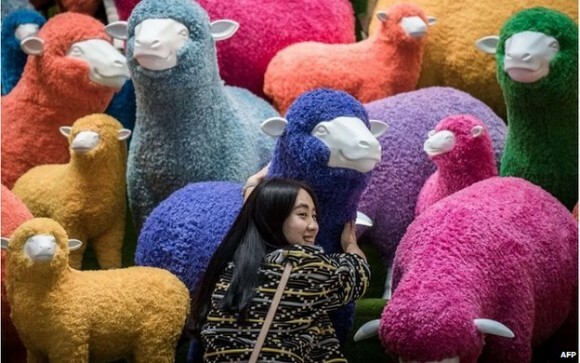 It is because of these characteristics that being born in the Year of the Sheep is not that highly regarded by some Chinese who prefer the energetic and dynamic characteristics of some of the other signs, like the Dragon, Tiger and Horse. However, the Sheep is the 8th sign of the twelve animals in the Chinese Zodiac, 8 is the lucky number for the Chinese, and being born under the 8th sign is auspicious indeed, and who wouldn’t want their child to be kind, forgiving and loyal? Sheep babies are good-hearted and will always look after everyone else first.